LPL Lexington KY from Rich Kalonick on Vimeo. This entry was posted on Sunday, August 15th, 2010 at 10:37 pm	and is filed under Events, Recap Videos, Rich Kalonick. You can follow any responses to this entry through the RSS 2.0 feed. You can skip to the end and leave a response. Pinging is currently not allowed. I was honored to be sitting with the “Great Banquet” sisters at this event! Very powerful! I had been praying for this event for 9 months and with great anticipation for what God would do through Beth in and around Lexington KY – I was not disappointed, but rather blown away! I wanted the weekend to last forever! EAT – PRAY – LOVE takes on a whole new meaning for me! One that I pray will go from my note pages, to my mind and heart and then my hands and feet! Praying that God’s truths penetrate the hurting, hardened and lost hearts who showed up and heard Beth’s message. I pray that each woman takes a nugget home ~ “a word” from God! “Surrender” really spoke to me. I pray and surrender my life and “parenting” struggles to God and ask that He will “plow up the ground” in my family, so that we can experience His harvest in our lives and in our family! The amazing thing about the “Great Banquet” sisters was that they would not have ever gone to a LPL event on their own. 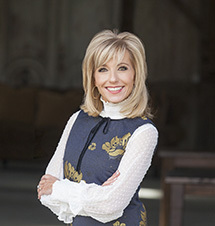 Most women who attend a LPL/Beth Moore event know something about Beth and her amazing “life changing” bible studies or a friend or relative has dragged them along. These great banquet women have little to no knowledge of God or the bible. They came in groups from homeless shelters, abuse rescue ministries, teen pregnancy centers and an adult entertainment refuge center. Many of them came down for prayer and encouragement on Saturday! Praise God! Lord, my prayer is that seeds have been planted in their hearts that will continue to fester and drive them into your arms and into a “love” relationship with you! That they would come to know you and serve you in a mighty way! Thank you Beth and the LPL ministry! You GIVE your everything to these events, that is obvious! Travis Rocks! Amazing voice and gift from the Lord and he touches my very soul with song and praise! I will continue to pray for LPL! Can’t wait for the next event! I was so moved and touched at the event last weekend. I had never looked at that scripture that way bvefore but wow did it stir my heart! I am still taking it all in. The best part of the weekend was that I got to share it with my daughter and granddaughter who is 11 years old. This was her first event but you couldn’t tell it. She sang and clapped her hands during worship; but she’s always done that. When it came time for study out came her Bible, note pad and she was ready. Before we got home she had already memorized both verses to the EAT portion of our study. Yes, she even quizzed me on them. My heart is so full right now! I only wished growht opportunitities like this were available to me back when. I wasn’t taught that Gos really wanted to be a part of my life in this wasy or that loving and serving Him could be such fun and full of JOY!! Thanks for all you do for us your sisters in Christ. Carla P.S. I will send you some photos of us -3 generations at the conference. I have attended four conferences and this was the very best. What a blessing. EAT, PRAY, LOVE. WOW. The teaching from Jeramiah was awesome. Thank you Beth. Travis and the band were amazing. Can’t wait for the Columbus conference. I’ve told everyone I know. Beth I thank you yet again for a Awesome weekend! We have been together often and more time than I cane say in bible study. You always help me to see God’s word more clearer than I see at times on my own. I love you and please never stop sharing God’s love with me and others!!!! You know, we think of persecution for religious beliefs as something that happens only in foreign countries, where Christianity is scorned…but, many are beaten down and ridiculed for what they believe in this country as well. Perhaps not physically, but certainly emotionally and mentally….I know before I even plan to go to events like this one, that I will suffer for even considering it..I know when I return home from the event, that persecution is coming…but you know…it is worth it. Thanks Beth for giving me something worth suffering persecution. See you next year. My daughter and I attended from GA. It was our last thing to do together before I dropped her off for her freshmen year of college. God and Beth is a good thing to go off with she said. Saturday morning I broke a tooth at Breakfast. We didn’t know if we’d make it to the conf. We prayed and God took the pain away so we came on. We knew that there would be something special for us if we went. We are so glad that the bears didn’t get you all!!! First time going to a Living Proof Live. God revealed to me so many areas in my life that need a cool refreshing from Him. I want you Beth to write a study on Jeremiah…oh how I love that book!! This was my first event of this kind and how amazing it was! Strangers gathered together in love, a moving lesson that I am still thinking about, the presence of God so strong. I can’t wait to attend another!